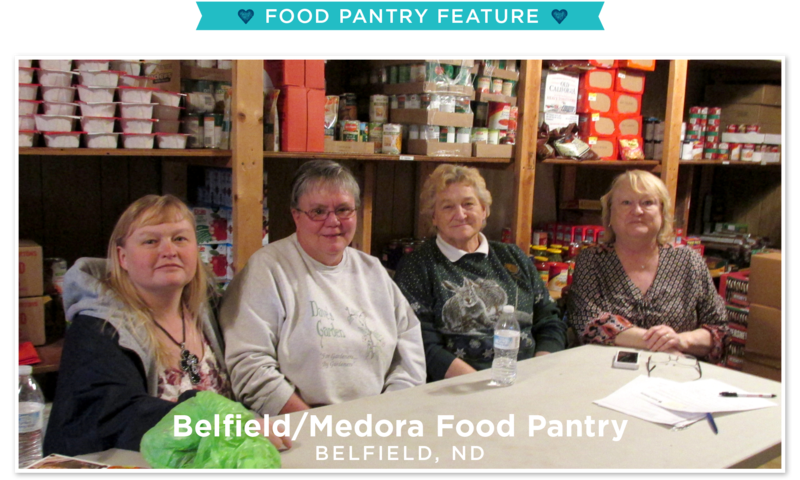 The Belfield/Medora Food Pantry was established in 1986 and today, 30 years later, the pantry still plays an important role in our community. A core group of 12 volunteers are assisted by others from the community, including Choice Financial team members, filling various needs. The group spends an average of 40 hours per month for gathering, organizing and distribution of food. 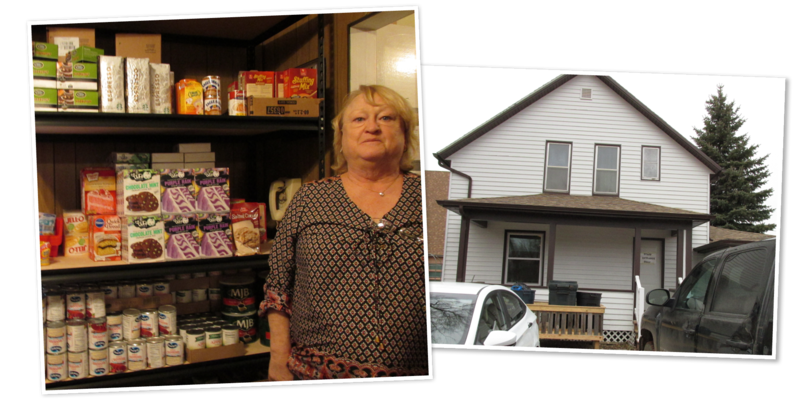 The pantry operates from a house provided by the Belfield Lutheran Church. They distribute to approximately 20 households per month, including around 15 children. As the local economy has slowed there has been a definite increase in the use of the food pantry over previous years. With the increase of people needing assistance through the pantry, they rely strongly on their volunteers. 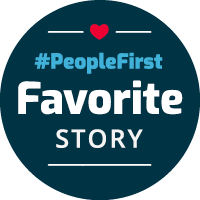 One volunteer, who wishes to remain anonymous, has been with the pantry since 1986. On average, she volunteers 40 hours each month. As she was growing up, her father was disabled and couldn’t work. In order to help her parents, she got a job to help support their family. Walking in the same shoes as the people who need the pantry today, she volunteers in the hopes that no child will ever go hungry. Donations come from numerous events and sources and all are appreciated; none are considered too small. While most food items are in adequate supply, the items most in need include meat products and canned fruit. The core group at the pantry all agreed that doing God’s work is their inspiration and driving force. Choice Financial is proud of the work this group of volunteers does with the Belfield/Medora Food pantry. Visit Belfield/Medora Food Pantry on Facebook.